Are You ready to Restore Your Relationship with God? Call to Victory: Living in the Anointing trains the reader in God’s anointing formula to empower, motivate, challenge, and activate each person, and help them discover and identify their own personal greatness within. In this remarkable book, visionary ministry founder, coach, and speaker, Queen Harriet P. Harrison, offers you steps she’s utilized in her own personal life to overcome obstacles and attain a successful and victorious lifestyle. FINALLY, A SPIRITUAL ENRICHMENT BOOK THAT GIVES STEP-BY-STEP EFFECTIVE TOOLS YOU CAN APPLY DAILY TO TRANSFORM YOUR LIFE AND CREATE THE WORLD YOU CHOOSE TO LIVE IN. 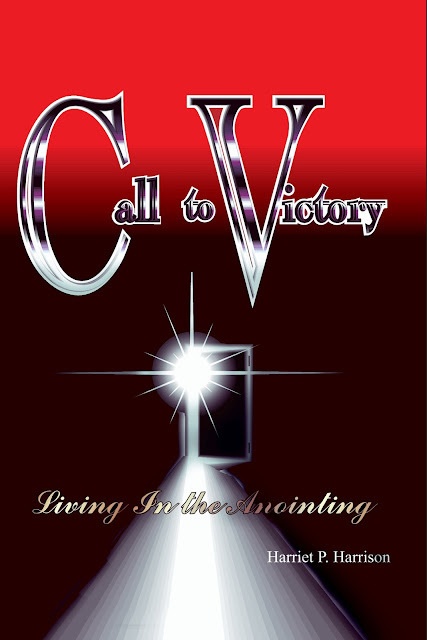 CALL TO VICTORY: LIVING IN THE ANOINTING WILL INTRODUCE YOU TO A NEW INSIGHT ABOUT YOUR LIFE AND THE LIFE GOD HAS ORIGINALLY DESIGNED FOR YOU. Incorporating the guidance provided in this book into your daily life and spiritual practice will further help you to create a solid living foundation based on the Word of God, and bring healing restoration to your mind, soul, and body.